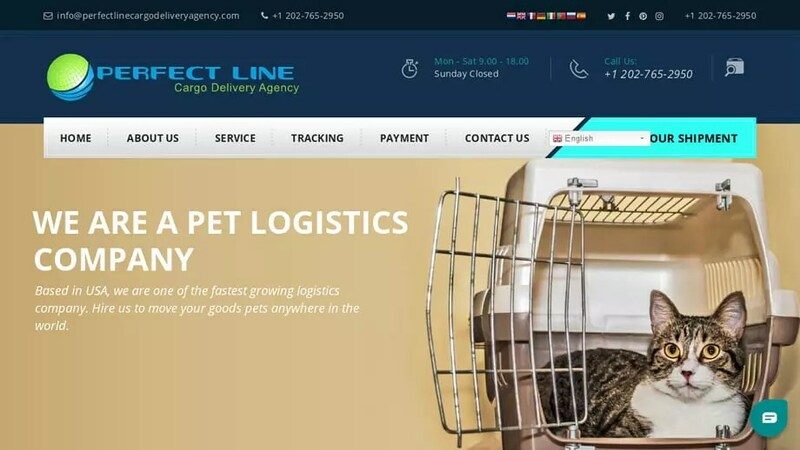 Pet Delivery Agency Website: Perfectlinecargodeliveryagency.com Perfect Line Cargo Delivery Agency . Perfectlinecargodeliveryagency.com charge for vaccines, pet food, pet insurance and shipping... but NEVER deliver. Perfectlinecargodeliveryagency.com is not a breeders website and this is not a review of Perfectlinecargodeliveryagency.com. This is a warning. Perfectlinecargodeliveryagency.com will claim to deliver the using a Fraudulent Delivery company. Perfectlinecargodeliveryagency.com was registered on March 12, 2019 with NameCheap, Inc. . These details are correct as of today (March 13, 2019) but the name and address could possibly belong to an innocent third party if the domain was registered using a stolen credit card. Perfectlinecargodeliveryagency.com was registered using the email address EMAIL ADDRESS NOT KNOWN. It was registered and 1 days ago on March 12, 2019 and expires March 12, 2020. To look at it another way, this “company” only started March 12, 2019 and does not plan to be using the website after March 12, 2020 as it has only a 1 year registration. Perfectlinecargodeliveryagency.com was registered with the domain registrar NameCheap, Inc..
To send an abuse report to NameCheap, Inc. please click the red button below and complete the email to help shut down Perfectlinecargodeliveryagency.com!